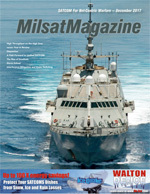 Delivering network connectivity and advanced IT capabilities to ships at sea requires satellite. There simply isn’t a viable and reasonable alternative for delivering information to the middle of an ocean. This is why the Navy and many other maritime-focused federal agencies rely on satellites for keeping their sailors and ships at sea connected to senior leaders back home. These ships receive a large number of services and capabilities thanks to their satellite connectivity. 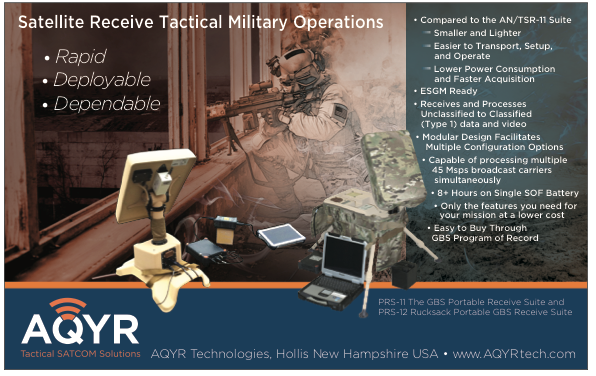 Satellite enables the sharing of high definition, actionable ISR data, it delivers morale welfare and recreation (MWR) services and it enables those onboard access to applications and IT services usually reserved for warfighters with two feet firmly planted on the ground. However, today’s advanced applications — including Satellite-as-a-Service (SaaS) and cloud services — and the need for increasingly high-quality ISR is drastically increasing the bandwidth requirements of ships at sea. Maritime agencies and the U.S. Navy are also innovating new technologies and platforms that can deliver enormous tactical advantages to our military while preserving the life of American servicemen and women. These new platforms — including autonomous and unmanned platforms — have immense upside, but also come with the downside of further driving up bandwidth requirements. Combined, these new applications, advanced technologies and innovative platforms are forcing the Navy and other maritime-focused government organizations to find a way to deliver higher throughput and higher bandwidth connectivity to ships at sea. According to a new whitepaper, “High Throughput on the High Seas,” from SES GS, the answer may still be directly in front of them — or, more accurately, above their heads. 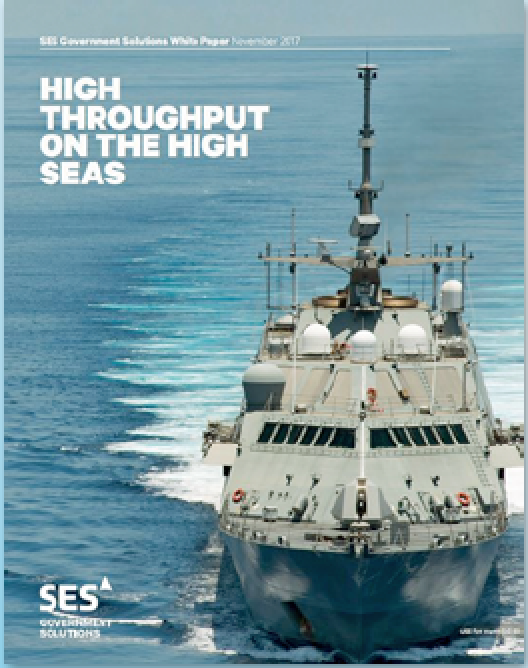 In the white paper, they analyze increasing maritime bandwidth demands, and look at how today’s new MEO and HTS constellations can deliver the requisite fiber-like connectivity that these organizations need all via satellite. Regardless of where on the ocean ships may be stationed or traveling, the steerable beams of this next-generation of satellites can reach them. And, with their closer proximity to Earth and focused spot beams, they can deliver extreme throughputs with much lower latency — making them perfect for powering the most bandwidth-hungry of applications. Also, consider... the United States Navy has long been at the forefront of new technologies and IT. The Navy’s consolidated IT networks are a technological marvel, functioning as both an administrative network and a warfighting tool. However, relying on network capabilities out at sea creates challenges. Navy ships don’t sail around the world with large cables connecting them back to the networks on land. That means satellite solutions are absolutely necessary to connect Navy platforms distributed across the globe to the networks, systems and applications that are necessary for accomplishing their mission. The requirements that Navy platforms put on satellite solutions and networks is shifting as its IT capabilities and applications evolve — new, more advanced adversaries are increasingly capable of denying satellite communications through interference, jamming and even kinetic attacks. This recognition of global adversarial situations has created a need for new solutions that can offer additional resiliency in the face of an increasingly contested space domain. According to Breaking Defense, the President and Naval leaders are looking to bolster the Navy fleet and ensure that it’s ready and prepared to face our increasingly sophisticated adversaries. Does a larger fleet impact existing networks? Does an expanded fleet require additional throughput and connectivity? The answer to both of those questions is, “yes.” Ultimately, the more platforms that you have, the more demand that you’re going to have for additional throughput. That means more bandwidth is going to be required. Even beyond that — even beyond the sheer number of platforms — the requirements for throughput by themselves are increasing. That has a lot to do with where technology is going in general, where the demands of our naval leaders are going and where our required capabilities are going. Let’s explore that further. What network enabled capabilities is the Navy looking to enable? How do these new capabilities increase demand for throughput and bandwidth? Sure. Those new capabilities include the ability to do video teleconferencing (VTC), download large files, and the ability to monitor multiple high definition video streams simultaneously — just to name a few. Everyone expects higher throughputs and lower latencies and faster speeds, whether it’s for logistics backhaul, operations, or simple comms. For example, take situations where the Navy is employing direct, tactical kinetic strikes. The Navy and Marine Corps are employing tactical ISR platforms that are always overhead before, during and after strikes. Those platforms are becoming more ubiquitous and part of our concepts of operations (CONOPS). Throughput and bandwidth are required to move those video images back to command and control nodes where decisions are being made. Also, we’re increasingly operating in what is sometimes referred to as an anti-access/area denial (A2AD) environment, where ships must operate in and around a denied battlespace. Some of the potential adversaries now have long-range, stand-off weapons which can hold our maritime assets at risk far off-shore. In these instances, the adversaries are long past line of sight and out of direct communications range for Navy ISR and targeting solutions. That pushes Beyond Line-Of-Sight (BLOS) where SATCOM becomes a far better solution. Finally, more and more maritime systems are becoming network-enabled. In addition to the traditionally manned ships, submarines, and aircraft, the Navy is incorporating new unmanned semi-autonomous and autonomous platforms. All that data has to move throughout the battlespace or backhauled to operations centers. This creates two-way requirements for high throughput, lower latency connections that can only be met with satellite. 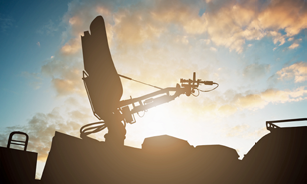 Why is MILSATCOM — especially the new MEO and HTS SATCOM solutions — a good solution for filling these bandwidth requirements? HTS makes use of frequency reuse, enabling you to use beam cells and reuse the frequencies fairly close to one another. And that enables incredibly high throughput. These HTS satellites are sitting in GEO orbit and have the same latency as other systems, however, their throughput is much higher. When SES GS points to their Medium Earth Orbit (MEO) constellation [formerly known as O3b], satellites that are closer to the Earth are being discussed at an operating attitude of 8000 km, or roughly 500 miles — latencies can be attained as low 150 ms and throughputs as high as 1.6 Gbps. That allows several elements, such as ISR and targeting with rich HD (potentially 4K video), offering a much more granular picture of the battlespace. A Geostationary Elliptical Orbit (GEO) satellite link has as much as a half a second or more of latency — in a tactical environment, that’s sometimes far too long latency for real time decisions. Just to reiterate, SES MEO satellites are considered HTS satellites. They offer the higher throughput of an HTS satellite, but they’re also in a lower orbit and possess that lower latency, as well. Adversaries of today and tomorrow will be more sophisticated and capable than adversaries of the past — with the potential to deny our military SATCOM connectivity through kinetic attacks on satellites and jamming. How do these MEO and HTS solutions deliver resiliency and mission assurance in space in the face of these threats? Admittedly, the company’s space systems have some vulnerabilities today that were not present in the past. The paradigm has shifted with more state and non-actors able to adversely impact our space assets. Space is now viewed as a contested environment, as opposed to the virtual sanctuary that once was fact. When you have vulnerabilities in an architecture, placing all of the eggs in one basket is not a good idea. There are a number of military satellites and communications systems that the military use. 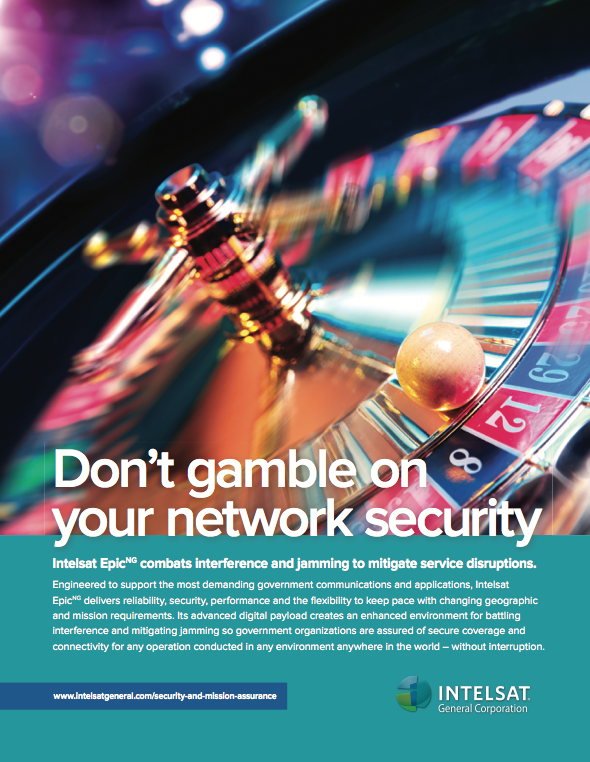 If those systems are compromised or degraded in some fashion, that could have a direct impact on operations. However, when diversification is accomplished beyond the traditional government systems — and add a full suite of systems from commercial providers across multiple different orbits and bandwidth — that builds inherent resiliency into the system. In that environment, the government has a full suite of solutions and services to choose from should any part of the architecture be compromised. In the case of the SES MEO constellation, individual spot beams are both steerable and have relatively discreet footprints on the Earth. For interference or jamming to occur, the interferer or jammer would need to know where that beam was pointed and the ephemeris data of the satellite. If they figure out both of those things — which is pretty tough — the beam can just be steered in such a way as to null the jammer or interferer. 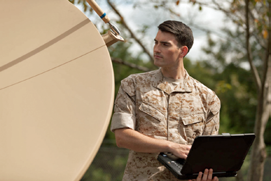 When you look at it holistically — having a suite of different solutions, different orbits, different bandwidths, and having these capabilities that are inherently difficult to interfere with or jam — the military can greatly improve their resiliency by embracing these solutions from commercial satellite providers. What has the reaction been toward HTS and MEO solutions across the military? SES GS has had a variety of customers and military decision makers come through the teleport in Virginia to receive a demo of the capabilities that HTS and MEO can provide. They’ve also toured the company’s ops center to see these solutions in action. Multiple MEO demonstrations aboard ships and in maritime environments have also been conducted. Interestingly, the Marine Corps has been one of the most interested military organizations. The feeling is that MEO can be an enabler of new, advanced capabilities for Marine Corps expeditionary forces, and the Marine’s agree. There was an incredible and positive reaction to the MEO demonstrations at the recent conducted Modern Day Marine Expo in Quantico, Virginia. What’s even more exciting is that there is more MEO capacity coming online that the military can use in the near future. SES has four more MEO satellites being launched next spring — and then four more satellites being launched by the end of 2018. That’s an additional 80 beams that will be available for military use soon. During Thanksgiving week in November, Ryan offered his thoughts regarding why the military and United States government owes much to satellites. Yes, satellites carry data and communications into places that lack terrestrial networks, satellites help to deliver actionable intelligence for senior leader examinations from the front lines and satellites also carry morale, welfare and recreation (MWR) content to deployed soldiers. In satellite circles, resiliency is a major concern for the military. Space isn’t an uncontested domain — there is serious congestion as well as an increased chance that satellites could collide or interfere with one another. And then there’s the fact that adversaries are more advanced — capable of denying the nation’s satellite capabilities via jamming and even kinetic strikes. That concern could lead to some drastic action. General Hyten advocated for a complete reevaluation of how the military acquires satellites and builds out the militaries’ space infrastructure. The military has traditionally invested in “exquisite” satellite systems — large constellations that they developed, financed, launched and controlled themselves. These MILSATCOM satellite constellations require large amounts of time and money to build and launch. That makes them increasingly expensive sitting ducks for adversaries who will attempt to shoot down or disrupt their performance. However, what’s the alternative? The simplest may be a different approach to acquisition that distributes and disaggregates military communications across multiple government and commercial satellites. This could be done by leasing space on commercial satellites or by hosting military payloads aboard commercial satellites. Either way, such would increase resiliency and make it more difficult for even the most advanced adversary to disrupt U.S. military communications. Satellite on the fritz? Aerospace companies are building a geek squad of space robots. Satellites aren’t cheap. It’s extremely costly to build a satellite and also extremely pricey to launch that spacecraft into orbit. When so much expense is involved to build and operate something, it’s nice to be able to fix it should a problem occur. There’s a reason why a car simply isn’t junked when the battery dies to purchase a new car — a new battery is bought, instead. Unfortunately for satellite communications providers, that luxury does not exist. There are no service shops in space (at least not in this galaxy… hmmm…) and there is no way to fix that major investment floating on orbit should something go terribly wrong. At least… not yet. As a very thorough article in the Los Angeles Times recently discussed, a number of satellite companies are currently working on methods to fix satellites in space using robots. These service robots would attach to satellites in space, refuel and then repair them. Unfortunately, even with major steps being made in recent years, many consider the concept to still be about a decade away from fruition. Aside from advancements being needed in the technology itself, there is a cultural issue that needs to be overcome. Satellite companies are — understandably — somewhat conservative when it comes to their spacecraft. To use the car analogy again — you wouldn’t be too happy if you owned a Ferrari and someone offering to refuel or repair the costly vehicle further disabled it. That also applies to expensive satellites. However, when the technology has evolved and is completely proven, the ROI of repairing satellites in space could be too great for even the most conservative of COMSATCOM companies to pass up. 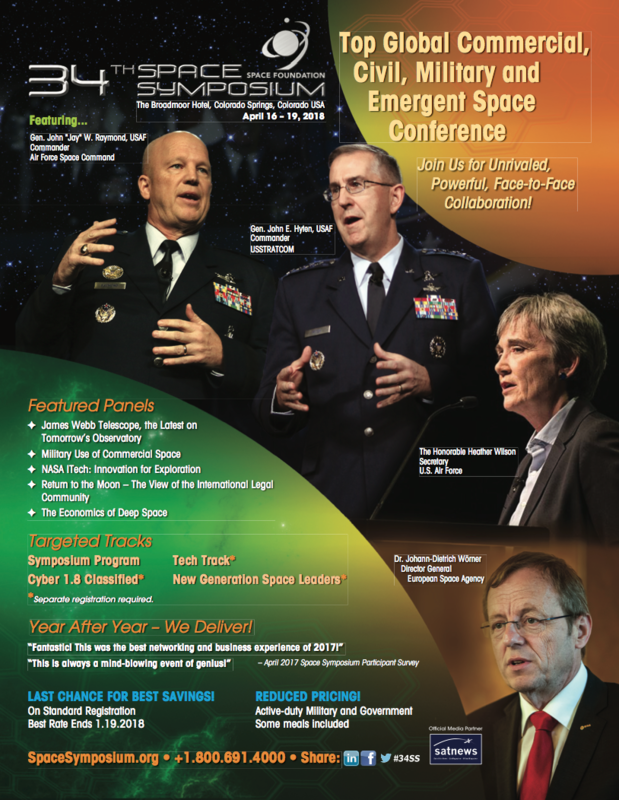 These articles republished, courtesy of The Government Satellite Report (GSR) and Executive Editor Ryan Schradin. He is a communications expert and journalist with more than a decade of experience and has edited and contributed to multiple, popular, online trade publications that are focused on government technology, satellite, unified communications and network infrastructure. His work includes editing and writing for the GovSat Report, The Modern Network, Public Sector View, and Cloud Sprawl. His work for the Government Satellite Report includes editing content, establishing editorial direction, contributing articles about satellite news and trends, and conducting written and podcast interviews. Ryan also contributes to the publication’s industry events and conference coverage, providing in-depth reporting from leading satellite shows.